The late Khu Kim Guat was born on 8 March 1975 in Kota Bharu, Kelantan. She was the eldest of four siblings. She grew up in Machang and had her elementary education at Machang. She continued her secondary education at Sekolah Menengah Hamzah, Machang. 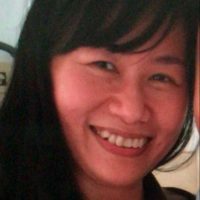 Being a student who scored with flying colours, she secured a place in University of Malaya and commenced her law study in 1997 and graduated with a Degree in Bachelor of Laws (Honours Class II Lower Division) in the year 2000. After graduation, Khu Kim Guat commenced her pupillage at the law firm of H.S. Lim & Malik in Kota Bharu. She was retained by the said law firm after her Admission to the Malaysian Bar and stayed with the firm for almost 11 years until January 2013. Khu Kim Guat specialised in the area of litigation ranging from debt recovery, land dispute, industrial disputes, winding up of companies, personal injuries, properties damages and even family matters. Sekolah Menengah Persendirian Chung Hwa v Fong Lim  2 LNS 0662 (Mahkamah Perindustrian Malaysia). Khu Kim Guat married Wee Kim Kiat whom she met in secondary school and they were blessed with three children. In 2013, she followed her husband to Kuala Lumpur when his job required him to be posted in Kuala Lumpur. Khu Kim Guat joined Shukor Baljit & Partners on 7 October 2013. This was the second and last law firm that she had worked for. Throughout her practising life with Shukor Baljit & Partners, Khu Kim Guat was hardworking and showed great dedication and commitment towards every matter that she handled. She hardly took any medical leave and would often turn up for work even on weekends. Everyone in Shukor Baljit & Partners loved her. She was a very helpful and humble person. What strike us most was her demeanour as she had never once lost her temper or composure even during the most stressful of time. In late December 2017, her colleagues noticed that she had started losing weight. When questioned, she would jokingly attribute it to her diet. Very soon, she showed difficulties in walking and often suffered from back pain. Despite the immense pain that we now know she had endured; she refused to take medical leave and sought only private clinics for medications to reduce her back pain. We often wondered why she was so thrifty to the extent of neglecting her health and to have proper medical checkup. It was only after her demise that we came to know that she was supporting her elderly parents and younger siblings, in addition to taking care of her own family. On the evening of 22 January 2018, she was warded at the Kuala Lumpur General Hospital when she could no longer walk. We were all very shocked and concerned of her wellbeing as she refused to acknowledge her condition and insisted to get back to work as soon as possible. She remained in the hospital and underwent a spinal surgery on 6 February 2018. Sadly, she never woke up from the surgery and passed away the following day. She had advanced breast cancer and she was only 42. We grieve for her husband and three young children. We mourn her till today.